Traveling across Capitol Hill is getting more difficult this weekend. Blue, Orange and Silver line Metro trains aren’t expected to run from the Eastern Market station to the Minnesota Avenue and Benning Road stations from Saturday until July 3, according to the Washington Metropolitan Area Transit Authority. 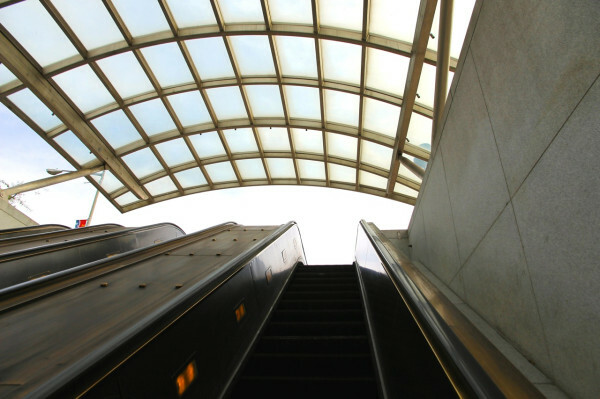 Shuttle buses are slated to get Metro riders between Eastern Market and points east, including the Potomac Avenue and Stadium-Armory stations, which won’t open during the two-week long “SafeTrack Surge” work. If you opt to walk or bike instead of use the Metro this weekend, you won’t need an umbrella, but might want some sunscreen. The temperature is expected to get to the low to mid 80s under sunny skies Saturday and Sunday, according to the National Weather Service. Sam Feldman and Fred Spero of the National Widowers Organization host a panel discussion concurrent with Gretchen Feldman’s The Healing Studio. The Alper Initiative for Washington Art presents “The Looking Glass” featuring ten D.C.-based Latin-American artists.